We'll see you in Chicago next week ... right? 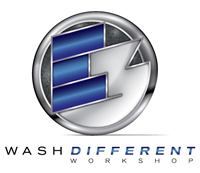 We're excited to connect with car wash owners and operators at our Wash Different Workshop next week in Chicago. from a worldwide expert on customer service and prepare to take your place as king of the wash.
Special thanks to event sponsor, Ryko for helping us connect top-quality speakers with car wash owners and operators. Visit http://www.carwash.org/e3-series/wash-different-workshop/wash-different-workshop-registration?marketing_channel=WDWcarwashnews to view the full article online. The U.S. Small Business Administration estimates that one-quarter of businesses that are hit by disaster fail as a result. If you’re worried that disaster prep will be costly and time-consuming, those fears are unfounded, says Bob Boyd, president and chief executive of Agility Recovery, based in Charlotte, NC. Small steps can make a big difference. Visit http://www.businessweek.com/articles/2013-09-06/how-small-businesses-should-plan-for-disasters#r=hpt-fs to view the full article online. You want to keep your good employees happy. But how? Here are 10 ways to take control of your organization's culture, create a place where employees want to work, and save time and money in the process. Visit http://www.huffingtonpost.com/dorie-clark/reduce-employee-turnover_b_3875366.html?utm_hp_ref=small-business to view the full article online. When a customer checks in on FourSquare or Facebook, the business’s name is displayed for that customer’s friends and followers to see. There’s no denying the exposure is great for business. The big question is, how do businesses get customers to check in? Visit http://www.forbes.com/sites/drewhendricks/2013/09/16/8-ways-you-can-encourage-check-ins-at-your-business/ to view the full article online. Visit http://smallbiztrends.com/2013/09/small-business-email-marketing.html to view the full article online. Having built the business from the ground up by buying the land and constructing the buildings in the complex, the family-owned and operated Valencia Car Wash first opened for business 25 years ago. "When we first opened we were the only car wash in the area," Paul said. "It was an immediate success. And even though there’s lots of competition now, our business is still strong." Visit http://www.signalscv.com/section/24/article/104588/ to view the full article online. It seems only fitting that Joliet's new NASCAR Car Wash/Express Lube Center should hold its grand opening Thursday, the same day that things start getting under way for race weekend at Chicagoland Speedway. Visit http://plainfield.patch.com/groups/business-news/p/nascar-car-wash-to-hold-grand-opening-thursday_fdb9cacd to view the full article online.